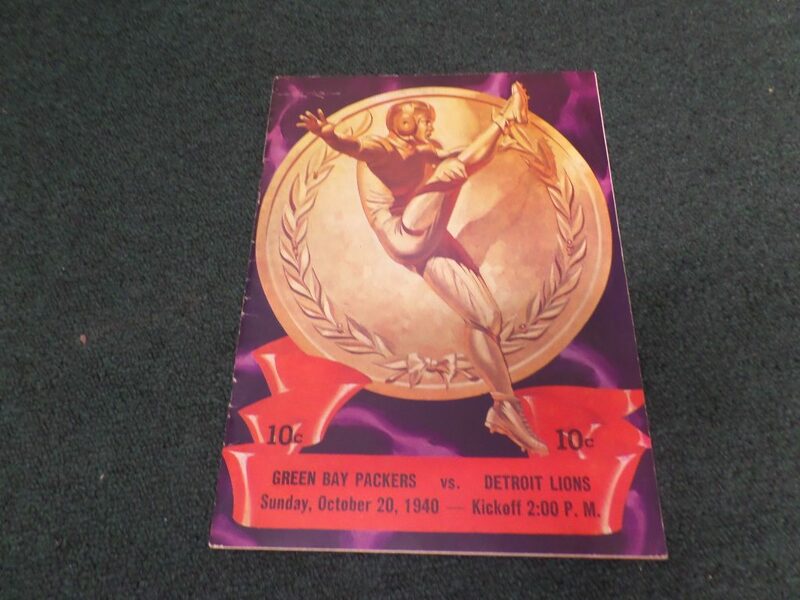 We are offering this 1940 NFL Game Program between the Green Bay Packers and the Detroit Lions. The game was played October 20, 1940 at City Stadium in Green Bay. Program has 28 pages of photos, team info and local advertising. Very Good Clean Condition-nothing loose or missing-no writing. Roster page has some staining-nothing serious but worth mentioning.